Get started building with Quasar as you will find plenty of tools that will help you, with Quasar CLI which allows you to start new projects by generating a starter boilerplate, and begin writing your *vue files. 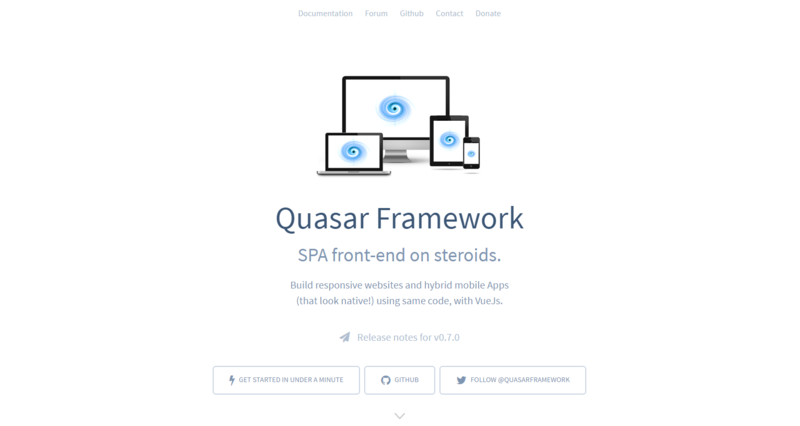 Develop Quasar Apps with Hot Reload directly on your phone, without even installing them. Desktop and Mobile. Native Mobile Apps included. (Optional) Vuex if building large scale Apps. Build responsive websites and hybrid mobile Apps (that look native!) using same code, with VueJs. Find Quasar on Twitter, official website and Github.